I have one and love it. The 11.5 is only one of the pH levels. I like to send these graphs as it makes the explanation much easier to understand. I am a visual person so can comprehend the technicalities a lot easier so am assuming it would be the same for you. As you know I have the LeveLuk Kangen 8-plate Anti-Oxidizer machine. As you also know I love it. I find that the health benefits are numerous. One of the things I have noticed since I have been drinking the ionized water is my bunion on my foot has got smaller and it does not hurt like it used to. Amazing I know but wearing high heels was almost impossible – not any longer and I did not realize it till I went to a party this week all doled up with heels and did not have to kick them off after 20 minutes of my arrival as my bunion was killing me. Anyway here is the documentation that will explain all the health benefits of this machine and other models. It is very informative reading and you will learn things you never ever knew about the different qualities of water and its affect on your health. If you want, you can download this ebook and read it in book form rather than on your computer. Kangen, in Japanese, literally means, “BACK TO ORIGIN.” There are still five places on the planet today where people line up to fill their water jugs with water similar to what is coming out of the Kangen Water® System. Those 5 places are: Lourdes, France; Tiacote, Mexico; Nadan, India; Nordenau, Germany, and the Himalayan mountains. You could travel to those places and fill your water jugs with the same, high-powered water. However, it’s cheaper and more convenient to have a Kangen Water® machine in your home. The Kangen Water® machine produces water with SEVEN different pH levels giving it numerous other household and cosmetic uses specific to each varying pH. Here is a list of those uses at its varying pH levels. Brewing green tea, coffee, English Tea gives it a mild flavor and wonderful color. Preparing SOUPS: Kangen Water® will draw out the flavor of the soup stock even when little flavoring is used. Its dissolving properties, mentioned above, will draw out it flavors! Seed Germination: Kangen Water® stimulates germination and improves seedling development. PETS HEALTH: Your animal’s health will improve dramatically. Unpleasant body odor will decrease as well as the odor of their feces and urine. ANTI-AGING: This water reduces free radicals and has been acclaimed as FREE RADICAL WATER. EXPONENTIALLY enhance your supplement protocols: The micro-clustered properties of the Kangen Water® give it the ability to dissolve supplements in your body and carry them to your cells with an uncanny capacity. Anyone who uses or recommends supplements will benefit greatly from the addition of Kangen Water®. Practitioner’s clinical results will be greatly enhanced. The best time to drink Kangen Water® has proven to be upon waking. After 6-8 hours of rest, your body needs water to aid hydration. Water first thing in the morning will hydrate your digestive system and cleanse organs before you eat breakfast; if you drink a glass of Kangen Water® when you get up, the water will have moved out of your stomach before you eat. Your body is “cleaning” and “repairing” while you are resting. A good quart (liter) of Kangen Water® first thing in the morning helps clean out all the toxins your body is ready to discard, before they can be reabsorbed and your body has work to get rid of them again. Drinking micro-clustered Kangen Water® 15–20 minutes before a meal supports the production of hydrochloric acid for better assimilation of nutrients. It also provides water necessary for digestion and alkaline minerals to buffer acidic waste products sent to your blood. pH 7 Neutral clean neutral water: this water has been filtered but has not gone through the electrolysis process. Do NOT take medications with micro-clustered water as medication will be taken rapidly to the cellular level of the body, making medication hyper-effective. When taking pharmaceutical medications, discontinue drinking Kangen Water® 15- 20 minutes prior to taking your medication. Use clean water to take prescriptions, and wait at least 30 minutes after medication before drinking Kangen Water®. Use clean water when preparing baby formulas. Hair Care: Use instead of rinse: Reduces annoying tangles and brings out a radiant shine. PET CARE: Great for grooming your pet: Brush with acidic water to obtain a soft and shiny fur. Housecleaning: Remove dirt from hardwood floors, ceramic tiles, without leaving a sticky residue. FOR POLISHING: Polish mirrors, eyeglasses, glass objects and windows to a high sheen. WASHING DISHES: Dishes and glasses will come out sparkling clean. FOR REMOVING TANNINS FROM TEA CUPS AND CLEANING BURNT POTS AND PANS: To remove stains, grimes and grease leave it to soak in water for 24 hours. BOILING EGGS: even if the egg cracks during cooking, the egg yolk will not leak out of the shell! You will also find that eggshells peel off very easily. In batter for fried foods: Fried foods will turn out nice and crispy, not oily, even when left to sit for extended periods of time. For washing and preparing fruits and vegetable containing ANTHOCYANINS: The vibrant colors of cherries, plums, grapes, strawberries, red cabbage, eggplants, asparagus, etc… will not change when washed and prepared with this water. Strong Kangen Water® is not suitable for drinking even though it is a powerhouse of antioxidant activity. It contains small amounts of sodium hydroxide making it a powerful cleaning agent. It is the most potent degreaser available and will effectively degrease restaurant grills better than the leading degreaser PURPLE POWER. It is also a potent disinfectant. Cleaning fruits and vegetables: This is 11.5 pH’s greatest use: Today, pesticides are petroleum-based chemicals with high mercury residues that CANNOT be washed off by tap water. On the contrary, when washed with tap water, loaded with chlorine and fluoride, the pesticide will actually ABSORB the chlorine and fluoride INTO the fruit or vegetable. Testing your water for chlorine and fluoride before and after washing your fruits and vegetables can prove this. After washing your fruits and vegetables, your tap water will be TOTALLY free of chlorine and fluoride. Where did it go? It went straight into the fruits and vegetables and the petroleum-based pesticide it is coated with. Take 11.5 pH Super Kangen Water® and literally watch the petroleum-based residue drip right off. Try this experiment at home. Take 11.5 pH Strong Kangen Water® and submerge a bunch of cherry tomatoes in it. Also take tap water and do the same thing. Wait 15 minutes and take the tomatoes out of both waters. Your 11.5 pH water will be filthy dirty with the pesticide residues and your tap water will be as clean as a whistle… MINUS THE CHLORINE AND FLOURIDE. Your 11.5 pH tomatoes will taste delicious while your tap water washed tomatoes will taste awful. This alone is a reason why you should have a Kangen Water® System in your home. Cleaning cutting boards and dish cloths: This is due to the potent anti-bacterial properties of the 11.5 pH water. DISH WASHING: Use less detergent when washing. Save on water bills as well as 1⁄3 to 1⁄4 of the water usually needed is adequate to rinse off dishes. Cleaning: Good for cleaning oil and tough grime from vents and general cleaning in the kitchen. It is also great for getting out stubborn toilet bowl stains. 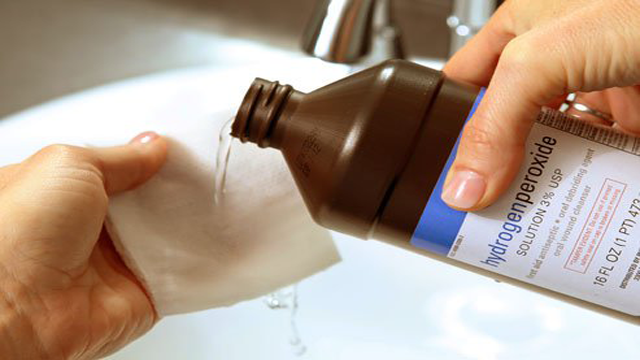 Stain Removal: The extra-strength absorptive powers of this pH will remove coffee stains, soy sauce and oil stains with ease. Rinsing Fresh Fish: Will eliminate the strong fishy odor and flavor from fish. In the food Industry strong acidic water is regarded as having EXCELLENT disinfecting properties and can be substituted for alcohol and chlorine solutions. Use 2.5 pH acid water to kill microbial bacteria on produce and meats–eliminates the possibility of e-coli or other illness caused by bacterial growth on food. Oral Hygiene: Use pH 2.5 Strong Acidic Water to swish and gargle as a mouthwash. A high +ORP of 2.5 pH waters had been shown to destroy bacteria and other organisms with exposure times of less than a minute. Tooth decay and bad breath are caused by acid producing bacteria that break down the foods in your mouth. Some people brush their teeth with pH 2.5 acid water and claim it leaves their teeth whiter. In Japan numerous documented studies show that pH 2.5 water eliminates periodontal disease and many other infections of the mouth. Follow gargling with pH 2.5 strong acid water and rinse with alkaline drinking water so your mouth is not left acidic. Drinking Kangen Water® is also very important. In the medical industry it is widely used to prevent the spread of infection (INCLUDING MRSA), general cleaning, and washing of hands. For this purpose even Sheraton Hotels Worldwide has instituted the cleaning of its rooms with 2.5 pH water instead of the expensive, deadly, toxic chemicals used today in most hotels and households. In the agricultural industry, the water has been received with great interest for its role in reducing the amount of agricultural chemicals needed. Use as a compress over cuts and wounds to insure rapid healing and prevent infections— can also be used over external tumors by applying for 3-4 weeks straight. Soak diabetic ulcers and gangrenous lesions 15 minutes per evening for two to three weeks to see miraculous results of these lesions disappearing. 2.5 pH acid water kills slugs, mosquitoes, flies, ants, fleas and spiders. Many of these are exoskeletal and Kangen Water® drowns them rapidly because of its micro-clustering properties. 2.5 pH acid water will also oxidize pests causing death. People have seen pH 2.5 water kill small spider infestations on a plant. Spray pH 2.5 water on your pets regularly to reduce and/or eliminate flea infestations. As you can see the uses of Kangen Water® are extensive and can save people from tremendous amounts of suffering and pain. It also has a myriad of household uses that can save someone many dollars annually. One out of six households in Japan have this technology for obvious reasons. It has been in the USA since January 2003 and is already becoming a household name even though very few people have yet to truly understand what it is capable of. To own a Kangen Water® machine is not difficult. There are six Kangen Water® machines that can produce water in the range of 2.5 pH to 11.5 pH. The prices of the units range from $2,380 for the starter model Leveluk JRII to $5,980 for the Super 501, which is designed for heavy home use or for small businesses such as restaurants, health stores, gyms, spas, etc. The most popular model for years has been the SD501 that sells for $3,980. However, a new more powerful model was introduced in 2014. The Kangen 8 is Enagic’s most powerful antioxidant machine, featuring 8 platinum-dipped titanium plates for improved water ionization and increased antioxidant production potential. This machine sells for $4,980 USD. Also, since we deal in machines that range from $2,380–$5,980 in price, many people elect to finance their machine. We have several financing options that we have found work best for most people. When you purchase a machine you also automatically become a distributor so you can sell this amazing machine to friends and family and change their lives for the better forever. With Kangen Water® being so new in this country the business opportunities alone with this machine are enormous in addition to its amazing health properties and household uses. Contact us and we will be happy to answer any questions you may have. What is alkaline water, anti-oxidation, enhanced hydration, and why should we care? Increase the pH of your water to restore balance in your body. Reduce the water’s Oxidation Reduction Potential (ORP) to protect against free radicals, allowing your tissues to rejuvenate. Micro-cluster water molecules so your cells and body can hydrate more effectively. Our bodies consists of over 70 percent water molecules, which makes water the most important factor to our health. In general, alkalinity promotes and maintains optimal health in the body, while acidity has a negative impact. While some acidity is natural and necessary, many people suffer from leaning too acidic, which is a far too common result of our modern diet from acidic foods and beverages. When we lean acidic, our bodies compensate through natural buffers, which kick in to maintain the necessary alkalinity in the body. Over time, this compensation can lead to unintended consequences, such as weaker bones and muscles or even disease. Alkaline water offers a convenient and safe way to bring our bodies back into balance and achieve optimal hydration. Water is the most crucial factor in establishing and maintaining proper acid-alkaline balance. pH (Potential of Hydrogen) is a measure of relative acidity or alkalinity, with 0 at the extreme acid end of the scale and 14 at the extreme alkaline end. The blood stream seeks to maintain a consistent pH balance of 7.3 or 7.4, but poor quality diet, stress, environmental toxins, and medications can cause our metabolic pH to become too acidic. Because disease thrives in acidosis, drinking alkaline water is the fastest way to positively impact health and eradicate inflammation caused by excess acidity. High pH water (about 9.5) can alkaline the body at the cellular level and help the blood stream maintain its appropriate pH. This, in turn, helps to increase energy, improve sleep, reduce pain, eliminate acid reflux, normalize blood pressure and weight, and resist disease. pH stands for ‘potential of Hydrogen,’ which is a measure of hydrogen ion concentration; a measure of the acidity or alkalinity of a solution. The pH scale ranges from 1-14 used to measure how acidic or alkaline a substance is. A pH of 7 is neutral. A pH less than 7 is acidic, and a pH greater than 7 is alkaline. A Danish chemist, S.P.L. Sørensen, invented it back in 1909. The Oxidation Reduction Potential (ORP) is a measurement of the presence of oxidizing agents in drinking water. A positive ORP indicates oxidation (aging/deterioration) potential whereas a negative ORP indicates antioxidant (anti-aging/beneficial) potential. Most tap and bottled water typically have a positive ORP. For example, tap water may have an ORP of +580-600mV. However, a negative value is desirable for deoxidization power. The ideal ORP level for the human body is said to be between -150mV and -400mV. Medically it is known that active oxygen, also known as free radicals, enters the body when one’s daily rhythm of life or diet goes astray when under stress. It is the type of oxygen that causes illness and aging. Maintaining a daily rhythm will help keep this oxygen from entering your body! Likewise, drinking water with an ideal ORP level also aids in reducing active oxygen/free radicals in the body. A water molecule is made of two hydrogen atoms and one oxygen atom to make up the commonly known H2O ‘water’ molecule. However, what you may not know is that water comes in clusters of molecules (rather than single molecules), and tap water contains very large clusters of up to 13 molecules. What this means for your body is that you will feel fuller longer after drinking a glass of tap water, because of the amount of water molecules that need to be processed for hydration. However, if you drink micro-clustered water that contains only five or six molecule clusters, the water will be that much more hydrating, soluble, and permeating for the cells and the body. In essence, micro-clustered water delivers wetter water so that more of the nutrients will be absorbed into the cells at a faster rate. Sound confusing? Think of micro-clustered water as a handful of BBs compared to a softball. If you throw the softball at a chain-link fence, it won’t pass through. However, if you throw the BBs at the fence, they pass through seamlessly. Micro-clustered water is like that. It permeates your cells much like the BBs through the fence, hydrating your body within seconds of drinking, leaving you less bloated and more completely hydrated. By drinking water that contains fewer molecules, or micro-clustered, alkaline, ionized water, you can hydrate your body more quickly and effectively, enhance energy levels, improve your overall aerobic capacity and health, and prevent premature aging. Additionally, antioxidants are a benefit of micro-clustering, which have been proven to boost the immune system. The benefits of micro-clustered water were upheld by an independent study conducted by the Chinese Health Care Science and Technology Society (CHCS), which found that 60 percent of people who drank micro-clustered water had their cellular hydration level increase tenfold. Kangen Water® system produces ionized alkaline water through electrolysis, providing the ideal pH, Oxidation Reduction Potential (ORP), and micro-clustered water to allow for greater permeability within the cells to hydrate and replenish quicker. Find out how choosing Enagic water can truly change your life with a Kangen Water® system. These are the cities and countries you will find the Kangen Water system. It is a growing trend because of the problems of toxic water supplies. If you have one or intend getting one I believe you will be so grateful in the future as not only is it good for your health, accidents happen with our water supply at times and this may save you and your family’s life. Just Sayin. Now this part I am quite excited about. For many years and because of the sport I participated in I have consumed gallons and gallons of water. Up until now I have always consumed water from those filtered jugs like Brita and other jugs of the same filtering system, some good some not so good, also of course bottled water. While they have been ok I have always found it difficult to drink the amount required to keep the body hydrated. Most days I did not meet that requirement. Mainly because I found it difficult to drink that quantity without feeling bloated and the taste was not as pure as I have now experienced. Very rarely did I drink water straight from the tap, that taste I could not handle. I love it and it is all that it is cracked up to be. The one thing that it does live up to and that is, I now sleep like a baby. I am now hitting the pillow and going to sleep straight away and managing to get at least 7 hours good sleep at night. Previously I was lucky to get 5 hours sleep and often it was an anxious, tossing and turning type of sleep. Anyone that has sleepless nights knows what I mean. The water is clear, soft, smooth and easy to drink and consuming the amount required is very easy in fact quite pleasant. I have included a video that explains this machine as it does a better job than if I had to type all this information out. Can you remember the advert where this guy uses a razor and loves it so much he bought the Company. We’ll this is sort of what happen to us we just think this machine is magic and we have bought into the business. I will show you later in part 3 that if you are interested how you too can get into it and make a pretty good living doing it. But in the mean time I am really trying to show you what a great machine it is and if you are interested in improving your health this will be the best thing you have been introduced too in some time. As You know I am a Dr Oz fan, also I have 3 friends that are suffering from the attack of Cancer on their bodies, so I found this quite amazing. I am at this minute watching Dr Oz and writing this article while the ‘Ads’ are on. 1. There has been a study in Australia that has come up with an 82% chance of reduction in Ovarian Cancer. (One of my dear friends has this terrible cancer). This comes about by drinking at least 4 cups of Oolong tea or Green tea a day. 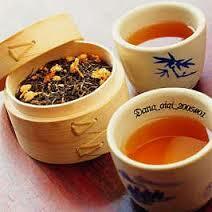 They found the tea has chemical compounds that can destroy the cancer cell when come in contact directly. 2. Liver cancer risk can be reduced by 50% by drinking at least 3 cups of coffee a day. I know amazing. 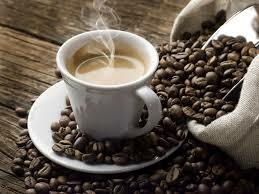 Coffee has an anti oxidant and anti inflammatory compounds that will starve cancer cells so they are unable to grow. Drink your coffee black and at least 24 fluid oz a day. 3. A Harvard study found that a certain fruit can reduce the risk of you contracting breast cancer by 40%. 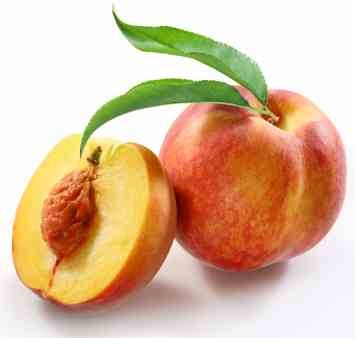 Compounds in PEACHES can inhibit the growth of breast cancer cells and their ability to spread. After 12 days the researchers saw that mice fed with high levels of polyphenols (found in peaches) had tumors that grew less and without much of the blood vessel formation that can help cancer cells spread to other parts of the body. The tumors in those mice also had less evidence of enzymes involved in the spread and invasion of cancer. You need to have at least 2 servings of peaches per week, Frozen or Fresh. Prevention is better than cure, so just make sure you take these preventative every day of your life and your chances of contracting cancer or any disease for that matter is significantly reduced. 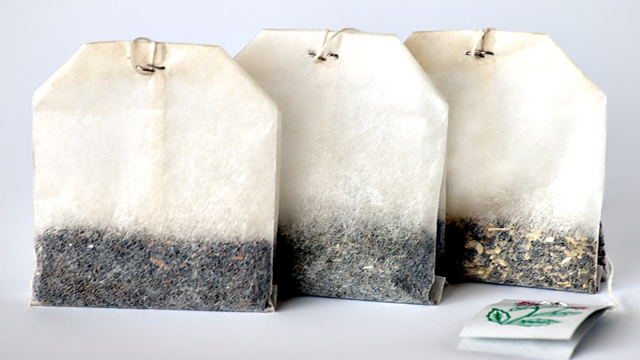 Put some used tea bags in a jar and place them in your refrigerator to absorb odors. 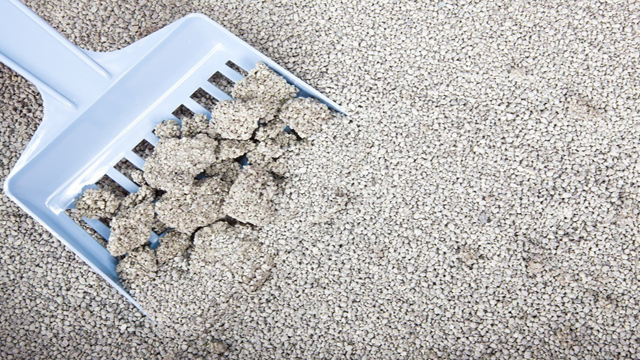 If your phone gets wet you can try drying it in a box of cat litter. Remove the battery and SIM card, then dry the phone off and slide it into a sock. Tie the sock closed and put it in a container filled with the litter. After three days, check to see if there’s any moisture left on the screen. If so, put it back for another couple of days. 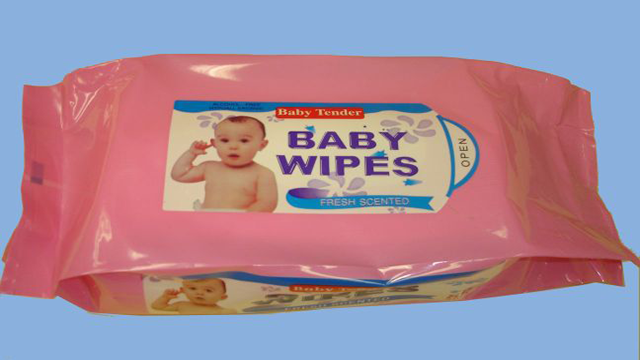 Before you go out and purchase pricey electronics cleaners, keep in mind baby wipes work just as well. Unfortunately bleach has left hydrogen peroxide with somewhat of a bad rap. Commonly used as an anti-septic nowadays it makes for an awesome disinfectant and stain remover. Ziplock bags cost a fortune and the store-brand stuff is rarely worth its weight in flimsy plastic. 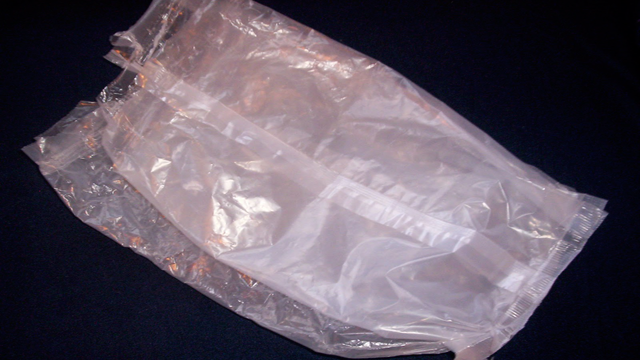 Plastic cereal bags, however, are great liners that can be reused. You can use them to store baked goods or a sandwich, apply breadcrumb coatings to meat, fish and poultry, roll up cookie dough logs, contain ingredients to be crushed with a rolling-pin, or as a trash container in your car.